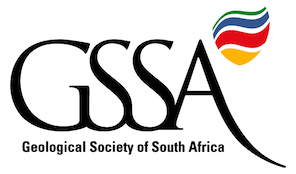 The Geological Society of South Africa exists for professional geoscientists but is inclusive of all in the public who have an interest in earth sciences. Its members are drawn from all professional sectors within academia, government, business and industry. Current membership is just over 3400 with 90% based in RSA, 4% in Africa (outside South Africa) and a balance of 6% spread around the globe. Our current database indicates that there is one geologist for 23000 members of the population in RSA. This is much lower than desired when compared with other professions where the ratio is one to three digit numbers. Organisations will be at risk of becoming stagnant or irrelevant unless they continually re-invent themselves. Transformation, therefore, forms a core part of the GSSA to deliver on the mandate and aspirations of its members. South Africa is a developing nation and the GSSA participates in many programmes on government policy developments, professional development of its members as well as on public forums to raise awareness about the earth sciences. Further, the GSSA supports many initiatives including those of government which are aimed at correcting injustices of the past. The GSSA acknowledges that Earth is a dynamic planet and a major component of Earth Sciences research focuses on the constant historical and current changes taking place in this system and its environment. Therefore, the GSSA constantly examines ways in which the Society needs to change, not for the sake of change, but to adapt to our changing world and to constantly improve the Society itself, its services to its Members and for sustainability and general good. At GSSA transformation is not viewed in isolation but is part of all aspects of our business and promotes forums which include meetings and conferences, which assist scientists to meet socially and to get to know one another and expand their professional network of contacts. Take cognisance of ever changing landscape in the broader society to which the GSSA has to respond in a positive and meaningful way. Communicating awareness to membership about changes and proposed changes in legislation and statutory laws to ensure proactive engagement with Government and organisations in order to effect the outcomes which are most beneficial to our members and the public. A transformed GSSA will be the one where membership is in tune with all developments in the GSSA and where all stereotypical views based on the gender, race, culture, disabilities no longer exist.